After last week’s doco on the Pirate Bay, SBS 2 tomorrow night screens Downloaded – a documentary on the ‘real story’ of Napster and the music industry. Fans loved it, Metallica and Dr Dre vowed to destroy it, and after three years plundering the catalogues of the music behemoths, Napster was bankrupt. But the story of the toll it took can only be told now. 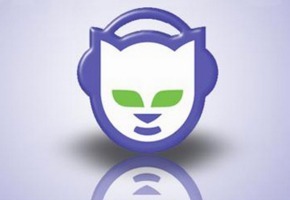 Napster’s rocketing rise to global fame and its spectacular crash in the largest corporate lawsuit in history, is chronicled in this insightful and fascinating documentary. Featuring past and present interviews with Fanning and Parker, as well as musicians Noel Gallagher, Henry Rollins, Beastie Boy Mike D and more, Downloaded reflects on the media circus surrounding music piracy’s bloody birth. Thursday, 17 July at 9.30pm on SBS 2. It’s not in Swedish again, is it?